Arrangement of roses in a wooden vase. Close your eyes, make a wish... 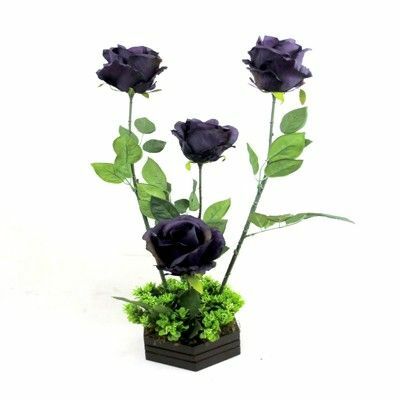 This heart winning arrangement of passionate blue king roses, standing in an elegant, wooden vase will is certain to add a dash of magic into a mundane day. Color: Green, Red, Pink, White, Black, Blue, Brown Material : Synthatic Cloths, Metal, Wood, PVC, Rubber Product Dimensions (LxBxH): 10"x10"x24"